Gun Safe Move Moving Gun safes can be large and heavy when moving, so it’s best to have Tom's professional gun safe mover so no one gets injured, keep this in mind while planning your gun safe move. Professional gun safe movers have the experience and expertise to move gun safes with ease and efficiency. Tom's Moving & Storage is a top gun safe moving company and is home to the San Fernando Valley, serving the Valencia, Castaic and the greater Los Angeles area with the select knowledge and special skill's needed to safely move your gun safe. 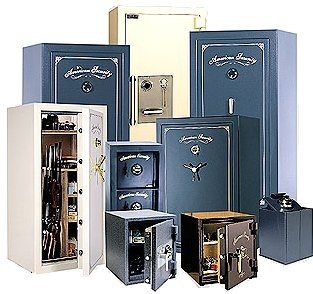 With more than 20 years of industry expertise, we have moved almost every type of gun safe, so there’s no need to worry about inexperience mishandling of your gun safe. Our expert gun safe movers who arrive at your home or place of business will use padding to protect your gun safe during the relocation. We always arrive on moving day with a specific plan of action, tailored to your move and your specific safe. The reason we have an 99 percent referral client base is because of our dedication to customer service. We want you the customer to rest assure that all aspects of the move are carefully planned out. Before your gun safe can be moved, there are few steps to take to safely prepare it for transport:For the safety of all people and items involved in the moving process, please clear your gun safe of all firearm's and ammunition before moving day and ensure that no weapons are loaded.If your gun safe is bolted to the floor, which many are, please make us aware of this. Our gun safe movers can lend a hand to anyone who needs help with this process. When moving out of state, research the gun ownership and transportation laws of the state you’re moving to. Many states have different gun laws, and you may need to prepare to meet legal gun ownership requirements. Whether it’s for home defense, hunting or just a hobby, your gun collection is valuable and important. The Movers at Tom's Moving & Storage have the knowledge and tools to keep your gun safe and all other belongings secure and undamaged during a move. For more information call for a quote. Tom's Moving & Storage will be happy to assist. Get your Gun Safe Moving Quote today.